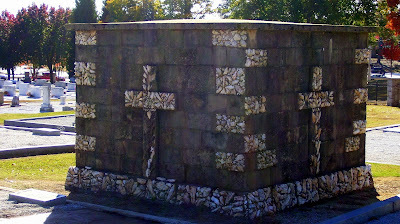 Emma and James' gravesite is a wonderful, "homemade looking" rock vault in Snellville Historical Cemetery. 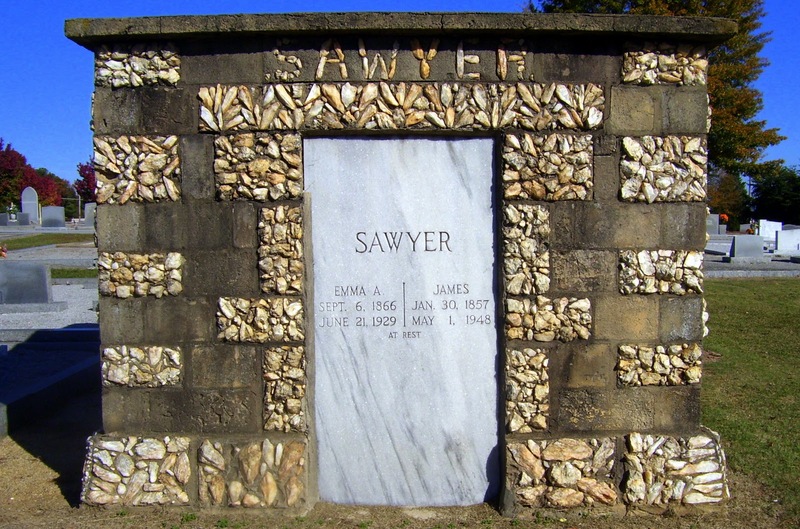 It is adorned with light colored rocks that spell out the SAWYER name above the marble "door" on the front and form crosses on the back and sides. Even though the structure might have been built a relatively short time ago, it has a fantastic old southern folk cemetery feel.